Ha, quite clever the way it depicts the effect each parameter has on the shot too. Cool thanks for this. Will come In handy as I usually always use the automatic setting on my camera, bit of a waste really as it was an expensive camera I had for Christmas. And for those interested. 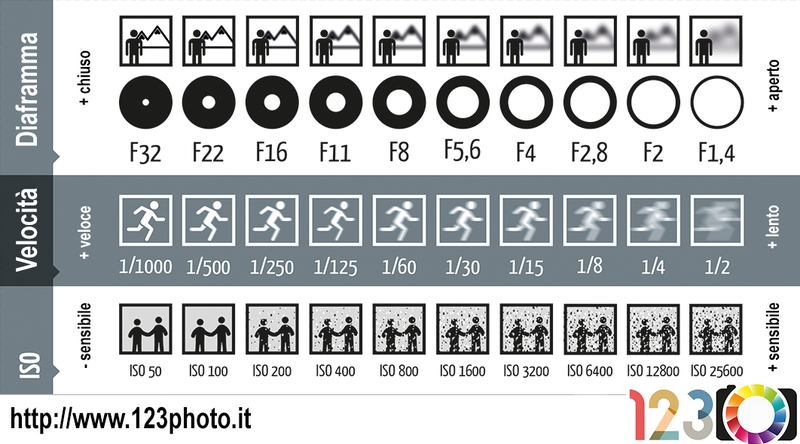 Top is aperture. Middle is shutter speed, bottom translated the Same. ISO. Lol. All you need is white balance on their and with this and a camera anyone can photograph a wedding. Hehe. TMC IlluiminAir 900 What settings?